Iowa Gov. 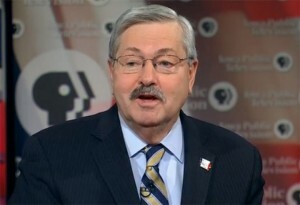 Terry Branstad was a guest on Iowa Public Television’s “Iowa Press” program over the weekend. During the taped interview, the governor told moderator Dean Borg and panelists O. Kay Henderson of Radio Iowa and Kathie Obradovich of The Des Moines Register he felt “the time was right” for a gas tax increase. See the entire interview by clicking here.